In celebration of the famous Scottish poet, Rabbie Burns, members came together last Friday in their finest tartan threads to eat, drink, and dance in his memory. 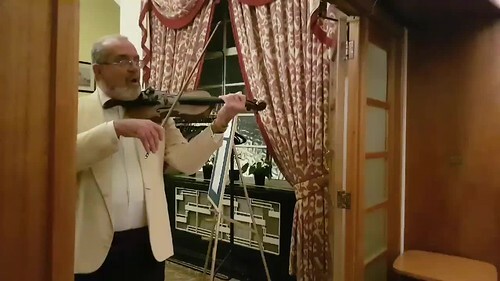 Members arrived to a wine reception in our Princess Alexandra Hall to the sounds of some classic Burns Night music, where they caught up with old friends and were introduced to new ones. As they were called up to dinner our very own proud Scottish Visual Arts coordinator, Eilidh, led the party in the traditional Selkirk Grace – also known as the Burns’s Grace – and is the traditional prayer that proceeds the haggis. Of course, the colourful procession was the highlight of the meal as guests stood to welcome the guest of honour, which was delivered by our very talented chef Gavin along along with our ceilidh band. Even if you weren’t there, you can watch the procession below along with the famous address to the haggis. Despite a delicious three-course meal with haggis, neeps, and tatties, members couldn't wait to get on the dance floor. Our band was more than happy to oblige their eager guests with a series of highland favourites, ending in the traditional Auld Lang Syne. See some photos from the night below.